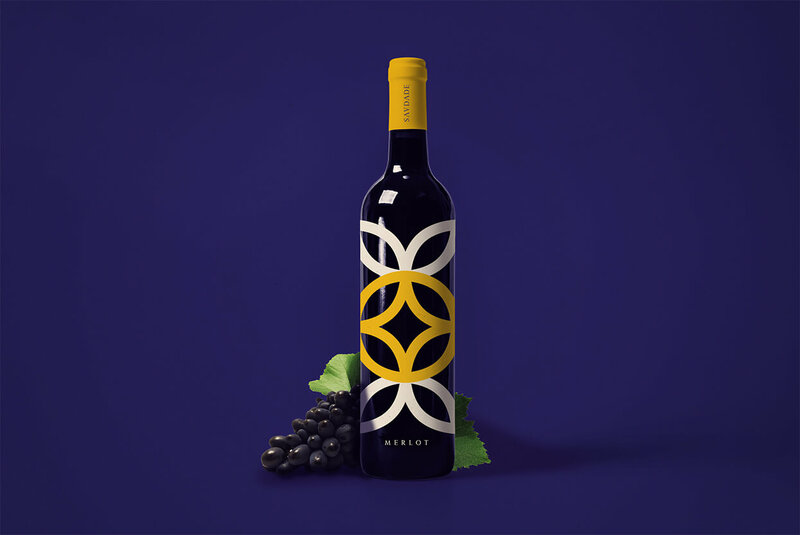 Quinta de Pancas is located 45 kilometres northwest of Lisbon, at Santo Estevão and Triana parish, the so-called “Alto Concelho de Alenquer”. 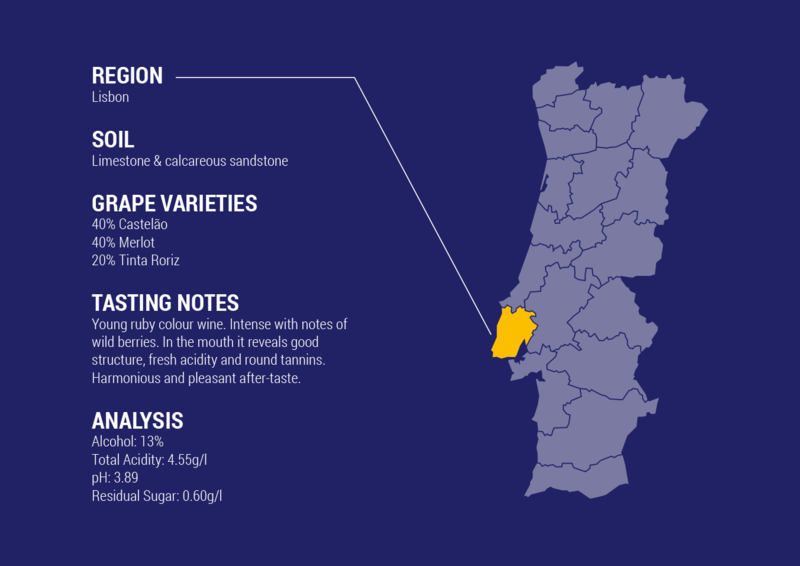 The lands of Alenquer extend between the Serra de Montejunto and the flatlands of the right bank of the Tagus river, unfolding in a landscape of mountains, hills, valleys and plains. 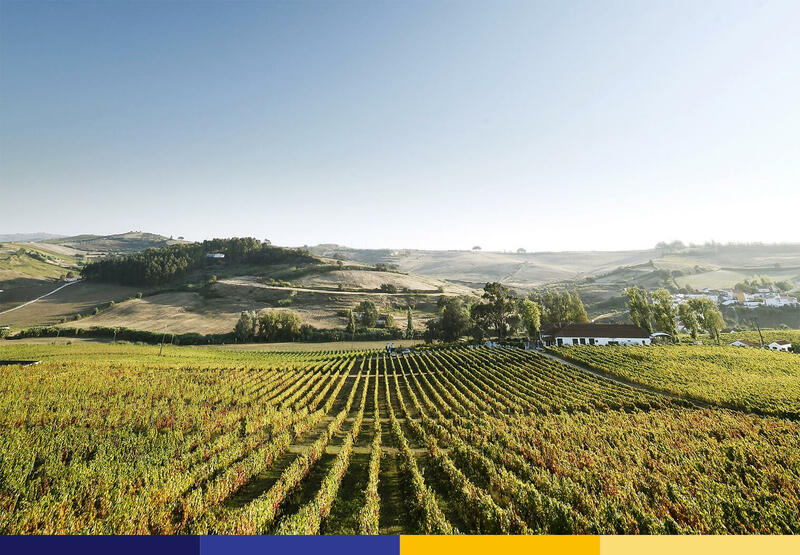 The property has about 50 hectares of vineyards. 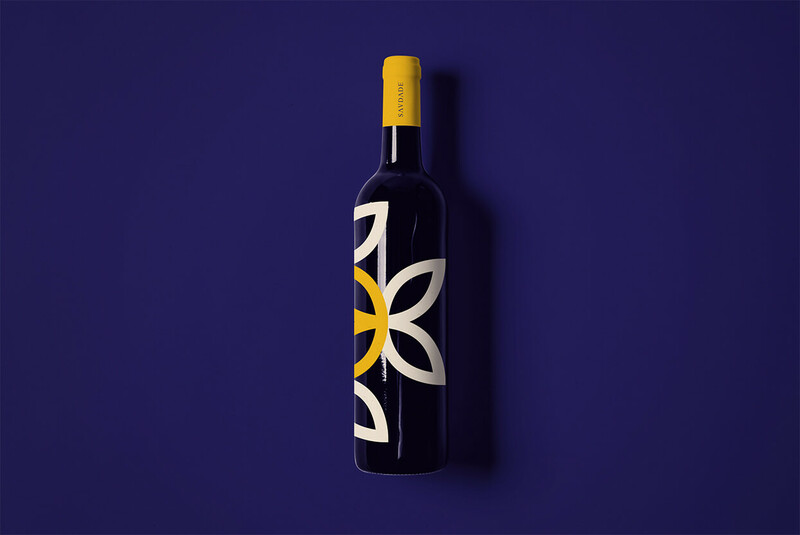 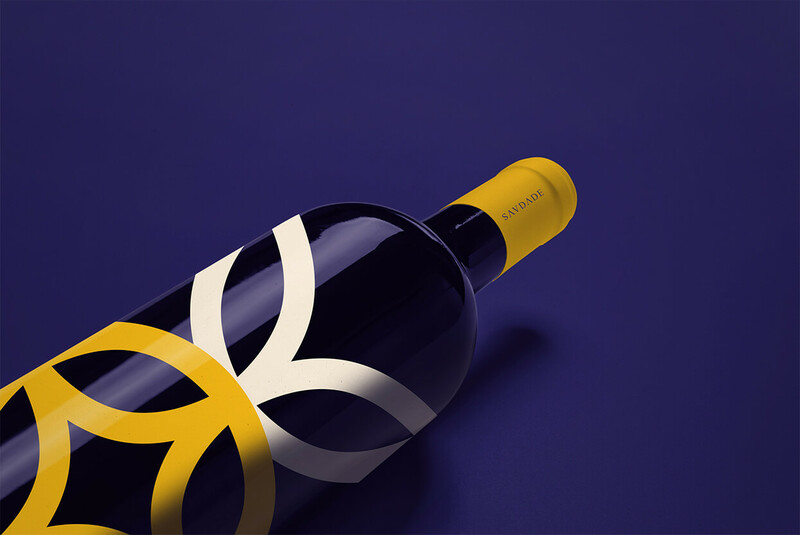 This wine pays tribute to Portuguese craftsmen and their traditional pottery, with their beautiful layouts, firm lines and strong colourful shades. 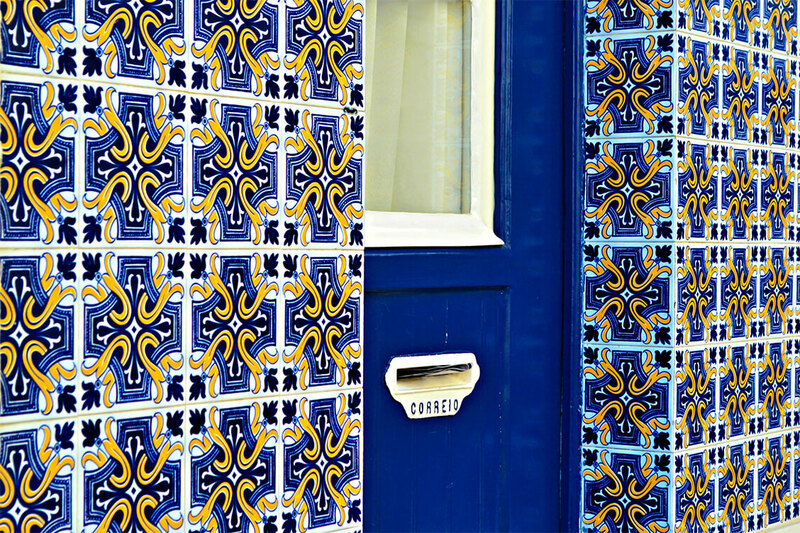 The design inspiration was from the famous tiles, called “azulejos”, are not only compelling, they are also uniquely Portuguese – it became a part of the whole Portuguese identity from building facades as well as decoration element. 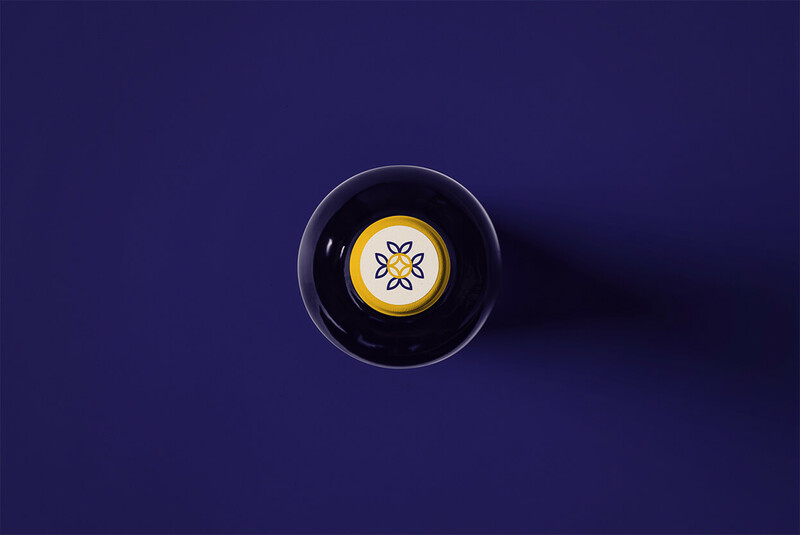 The word is Arabic in origin and comes from az-zulayj, which roughly translates as “polished stone”.